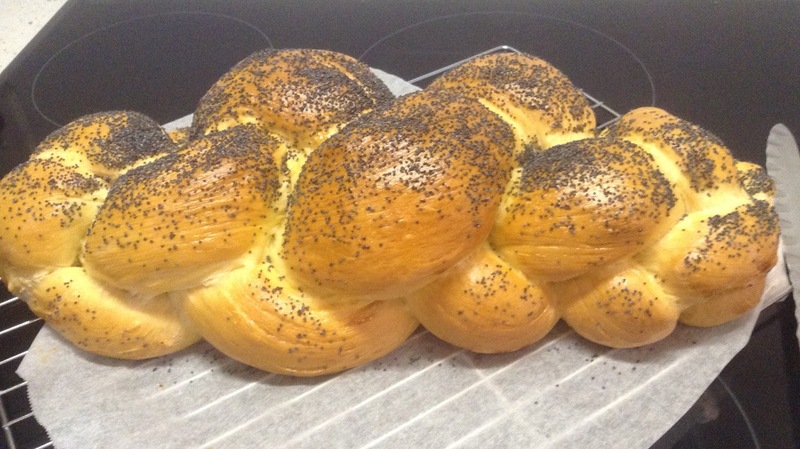 *It may not be the best challah ever but it's my first and looks pretty good to me. 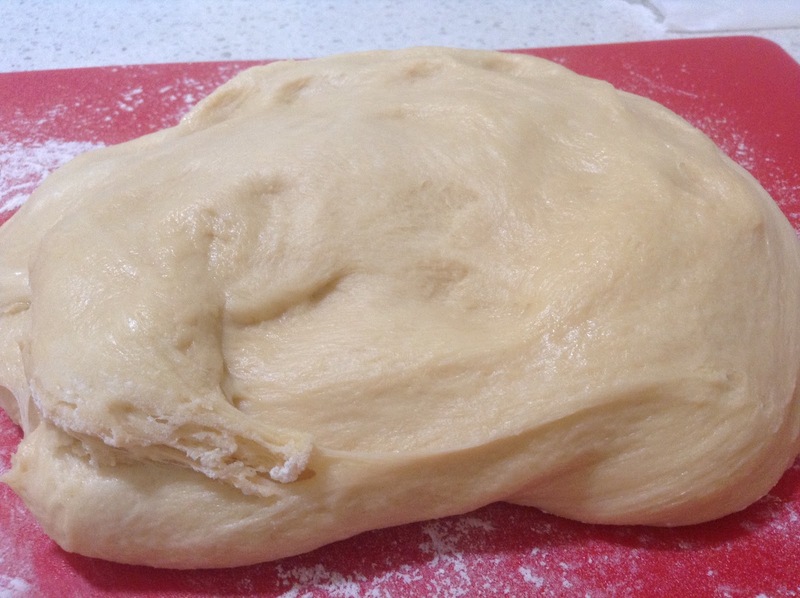 This bread starts, like many of Rose's other breads, by making a biga - a small piece of dough which ferments and develops flavour for up to three days in the fridge. I left mine for one day because I had to fit it around other commitments. It didn't look very big when I took it out of the fridge but it smelled yeasty and weighed exactly the amount the recipe stated it should. 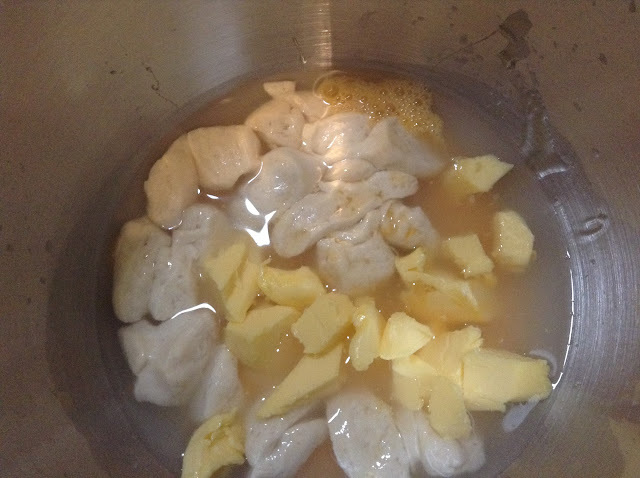 I used butter rather than oil in my challah, as Rose suggests if you don't need it to be pareve. The recipe most of the Alpha Bakers made was actually the one on Rose's website rather than the Bread Bible recipe. 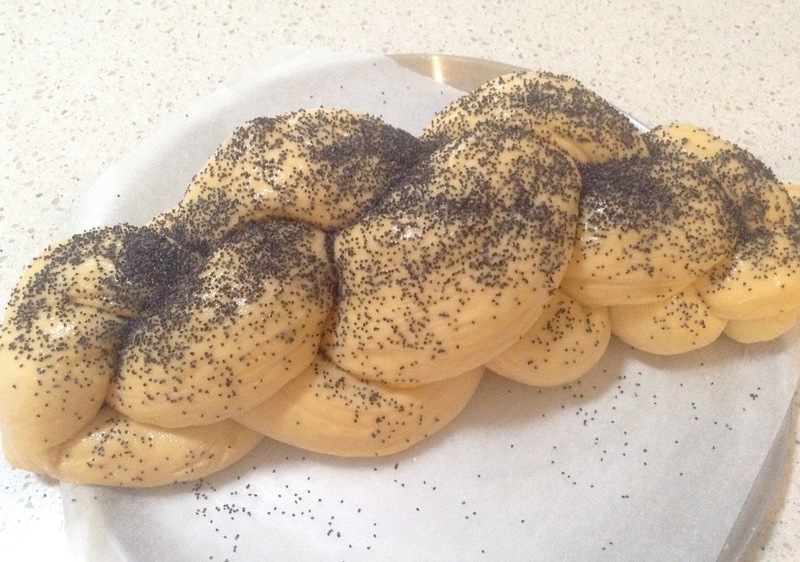 Rose suggested this since she has improved the recipe since the Bread Bible was published. 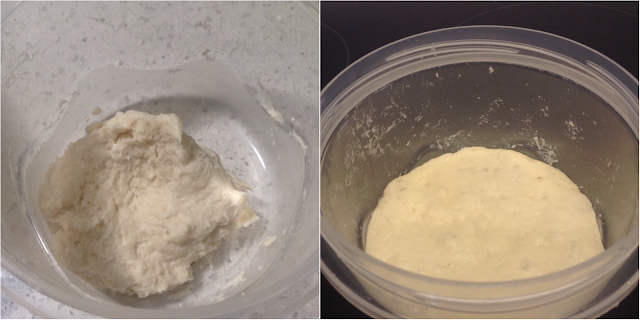 I can't imagine that I'll ever get blasé about the sensuousness of bread dough. 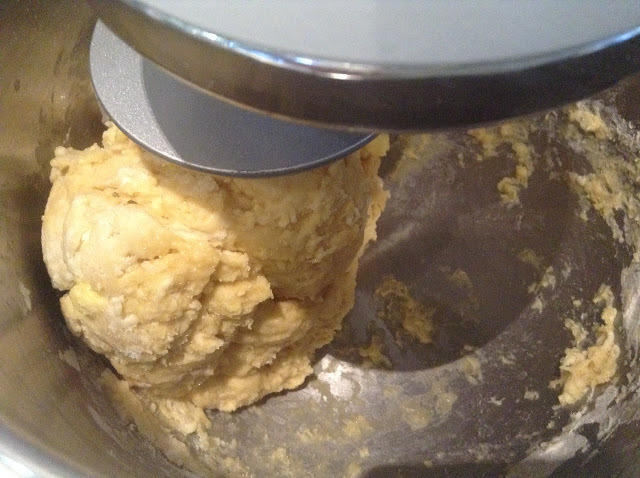 And it's amazing that this silky, vibrant dough emerges from the initial lumpy mix you see above. 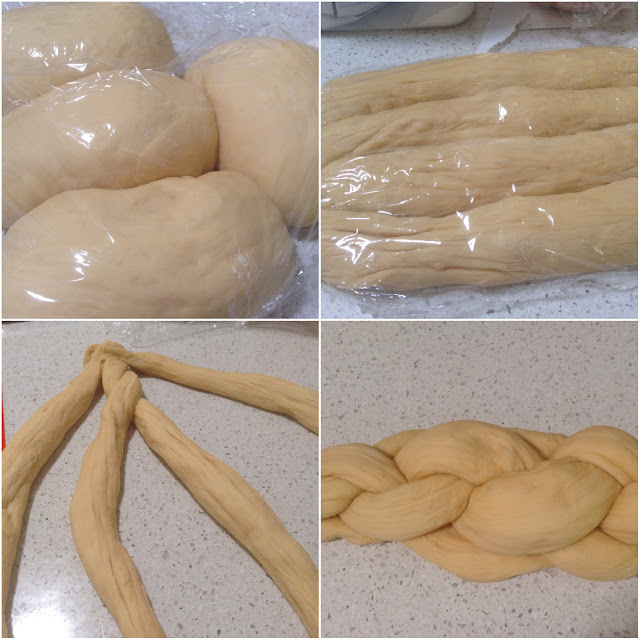 Thankfully the Bread Bible includes step-by-step pictures to help the novice baker plait the four strands of dough (that's right, four!). I'm not sure if you've ever tried bobbin lace-making? It's a lot like making this plait (only with tiny thread and a dozen-plus bobbins). 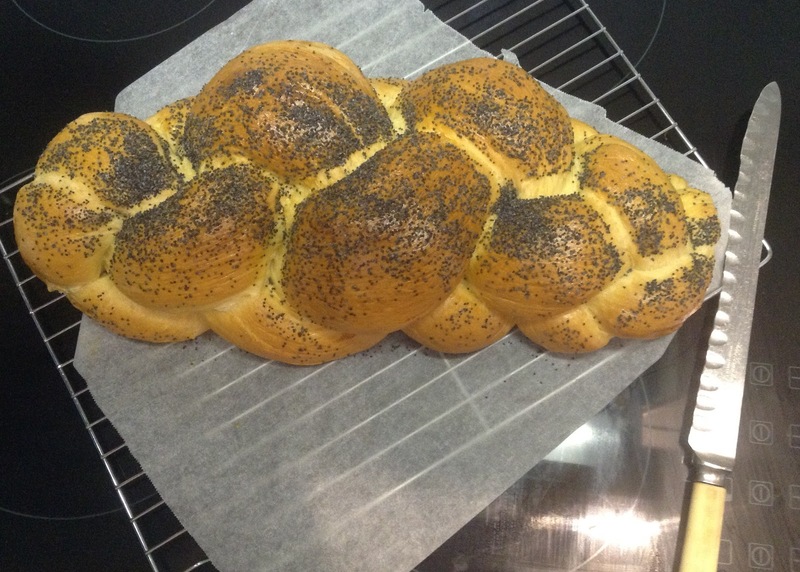 I had to squish up the ends of my plait a bit to fit it into my little oven. It didn't seem to do any real damage. 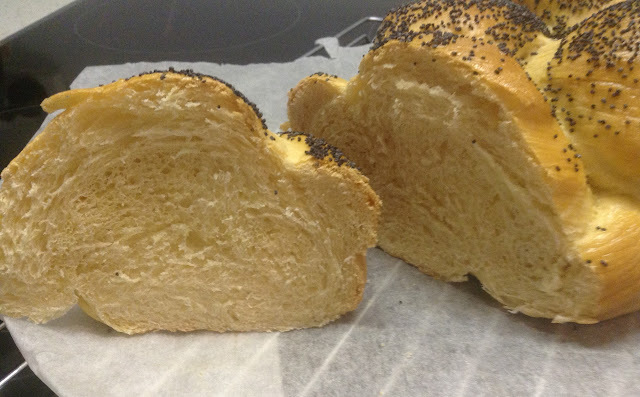 I call it 'shaping the loaf'. Look at those curves. January's Bread Bible bread is Sweet Potato Loaf which I've made and will be posting about later this week. It's not only pretty good for a first challah, it's wonderful! You got the braiding down very nicely and the texture is perfect. Do you still do bobbin lace making? I've seen videos and it's impressive, to say the least. Thanks Vicki - you're always so generous with your comments! I actually only tried bobbin lace making once. I think I made one beginner-type item and haven't touched it since. I'd like to have another try. One day I might get it all out again. i just LOVE how your bread looks. squishing up the ends is the answer to keeping them together and with a lovely shape. the crumb is perfect. i don't think it gets better than this. great posting and photos.